Ennis came agonizingly close to repeating their feat of 2005, that of being crowned national tidy towns champions. They came up two marks shy of Moynalty in Meath, this year’s winner’s on 316 marks, but there was some consolation for the Ennis contingent at The Helix in Dublin on Monday when the county town retained its title as Ireland’s Tidiest Large Urban Centre. It’s the fifth time that Ennis has taken the honour and for their troubles they were presented with a trophy and a cheque for €5,000. Ennis also picked up a further award, a gold medal, its 13th in as many years, when adjudged winner in the category for centres with a population in excess of 25,000 people. Ennis, which finished joint third place overall, was marked against strict adjudication criteria and beat off stiff competition from other large urban centres such as Kilkenny City. The Clare county capital has previously won the award in 2006, 2008, 2009 and 2012. Ennis also won this year’s Midwest Regional Award worth €2,000, retained the Clare County Award of €1,000 for the 15th successive year and was also named amongst 10 towns to receive a Tourism Towns Award. Gold medals were also awarded to Mountshannon, national champions in 1981, for their mark of 311 and Kilrush which recorded 309 marks. Kilrush was also commended in the county award category. Bronze medals were awarded to Tuamgraney (304) and Kilkee (298). Tulla claimed the Endeavour Award as the most improved area in Clare, increasing their marks by 5% from 248 to 235 while Seán Lenihan of Miltown Malbay, an engineer with Clare County Council, was named as a Tidy Towns Hero, one of just 10 in the country. Mayor of Clare, Councillor Joe Arkins has expressed his delighted that Ennis’ and Clare’s longstanding track record of success in the competition continued this year. “I want to acknowledge the positive work that takes place in Ennis and all of Clare’s towns and villages by the hardworking groups who with the support of Clare Local Authorities have made the county a clean and green destination to live in, do business in and visit. “This positive contribution is of particular significance in 2013, the year of The Gathering, during which they have helped to showcase our capital town, county and country in the best possible light,” he said. Meanwhile, Mayor of Ennis Councillor Mary-Coote Ryan noted that the award successes for Ennis were based on a collaborative approach adopted by community groups, schools, residents associations, businesses and State agencies, in partnership with Ennis Town Council. 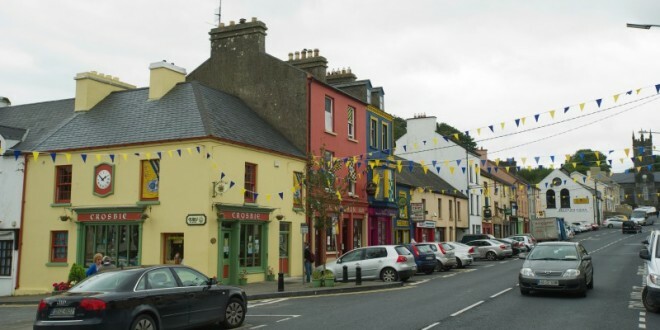 “The year-round work that has been put in by the Tidy Towns Committee and the wider community has reaped dividends and Ennis has reaffirmed its status as one of the best performing participants in the country. This year’s success is testament to the spirit of volunteerism and pride of place that exists in Ennis,” she commented. Chairperson of Ennis TidyTowns Committee, Áine Purcell said the awards achieved by Ennis marked the culmination of many months of hard work by local volunteers and members of the Ennis Tidy Towns Committee to improve the appearance of the town and surrounding areas. “The volunteers gave freely of their time throughout the summer months to enhance various public areas, to create and maintain flowerbeds, keep streets tidy, cut grass and pick up litter. Retaining the Gold Medal is a massive achievement for everybody concerned,” she emphasized. Ennis Town Clerk, Leonard Cleary described the tidy towns results for Ennis as “particularly significant” considering the extremely high standards set by the adjudication panel. This year 38 Clare centres put themselves forward for adjudication in the tidy towns and of those five – Kilkishen (191), Bunratty (216), Feakle (242), Knock (267) and Miltown Malbay (220) – weren’t assessed last year. Interestingly, all the other Clare entries increased their marks. Full details of all this year’s winners are available at www.tidytowns.ie.